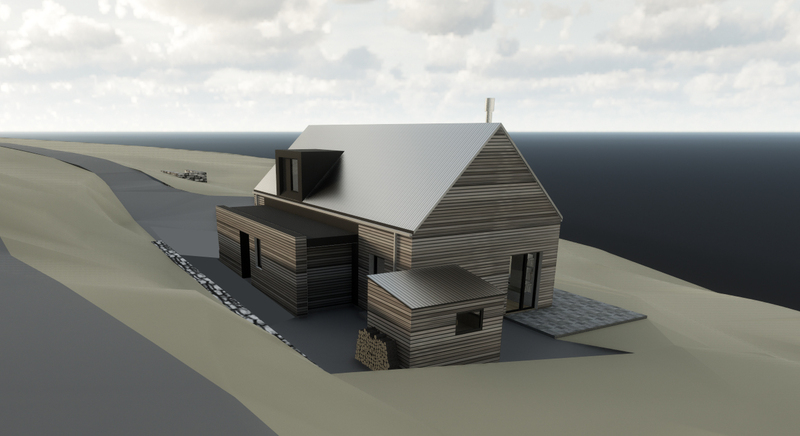 A new build three bedroom house on the Isle of Harris. 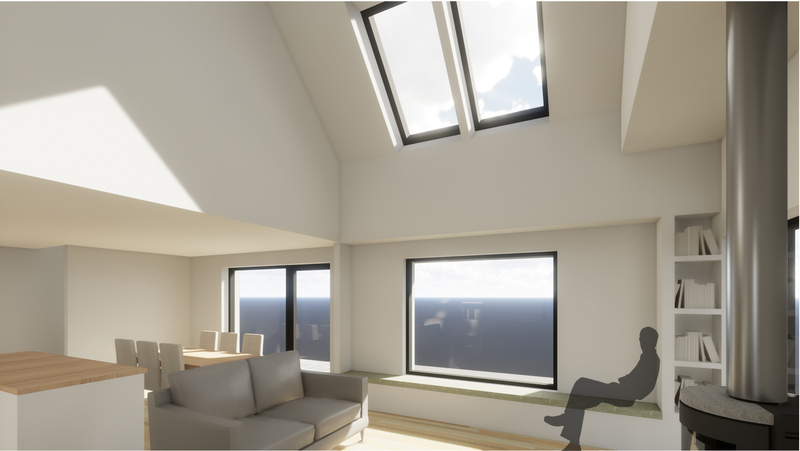 The house will be insulated to Passive House levels and feature a Mechanical Ventilation and Heat Recovery System. The site is set into a hillside and the gradient carries on steeply to the rocky shoreline. 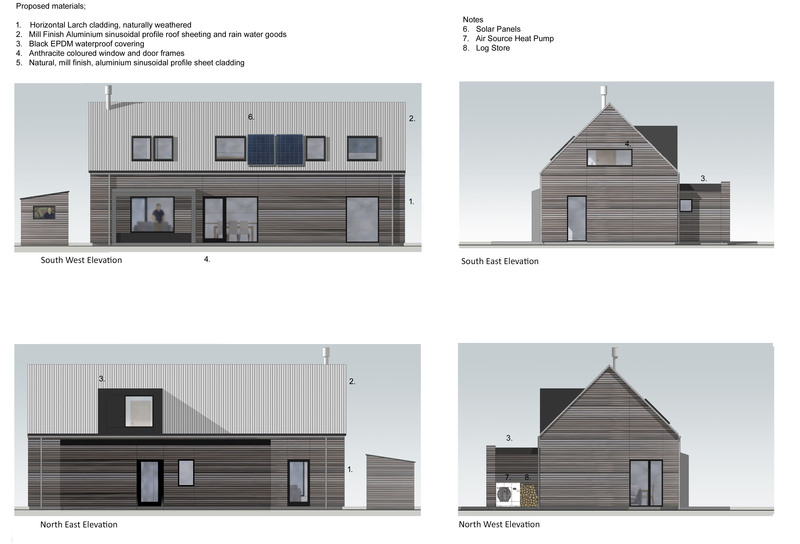 The exterior will be clad in larch and will feature a milled aluminium profiled sheet roof and a zinc clad window seat. 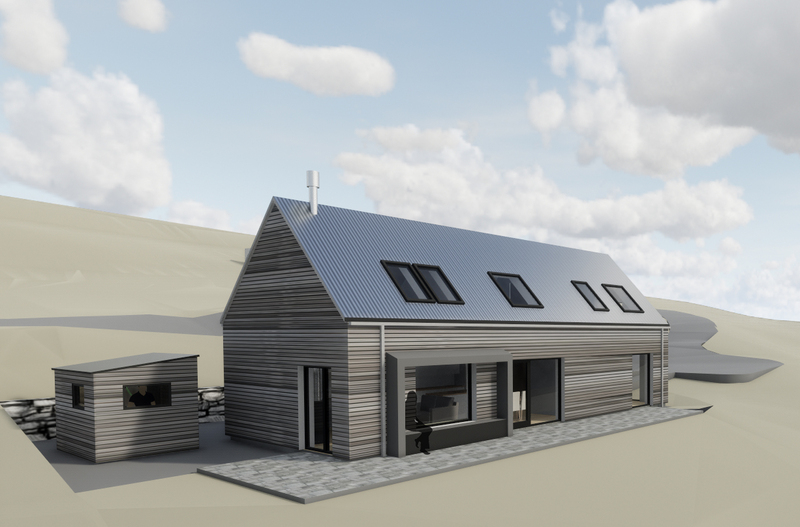 The house has an open plan, double height living area with views over the Sound of Harris and the Minch towards Berneray, North Uist and Skye. 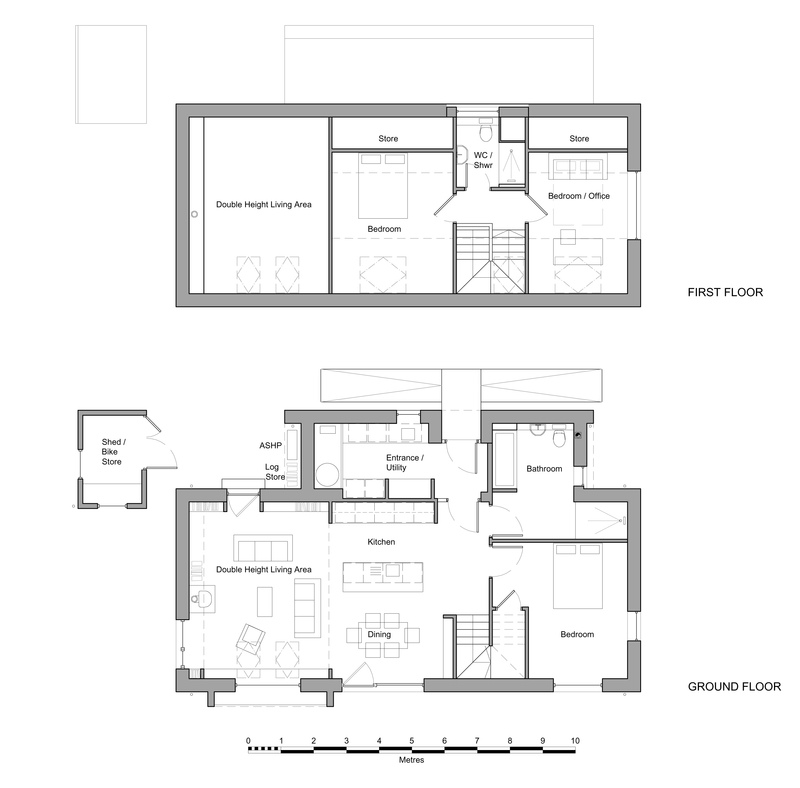 A modern dormer, clad in black rubber, provides a generous shower room with plenty daylight. 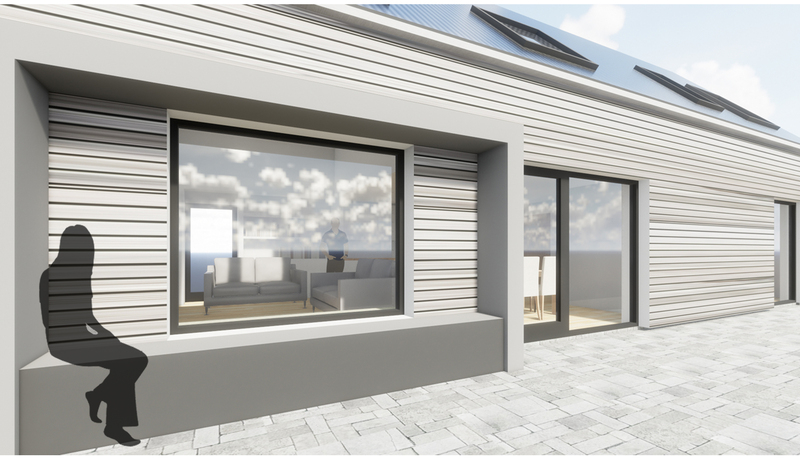 The large format glazing allows the owner to enjoy the dramatic views and benefit from solar gain.